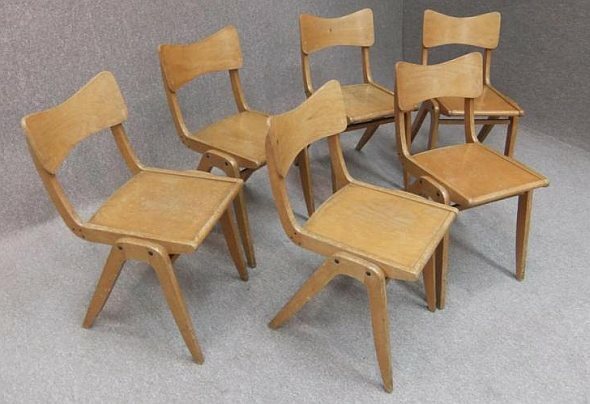 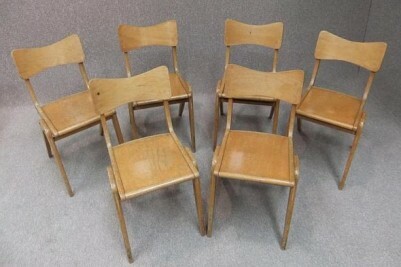 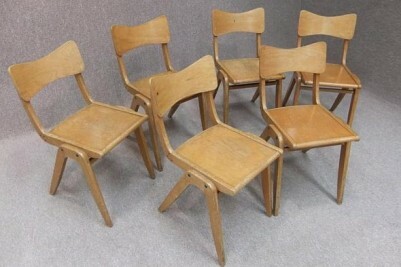 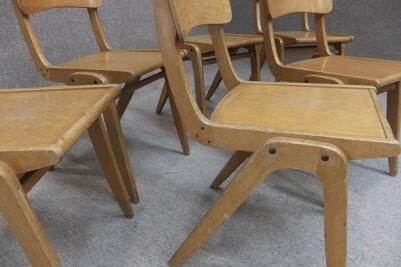 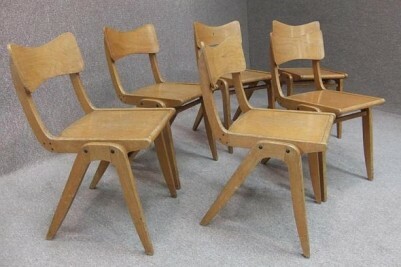 A stylish 1960s beech and plywood bentwood stacking chair. With a curved back support, a set of these chairs would be ideal for any café/restaurant/bistro interior. 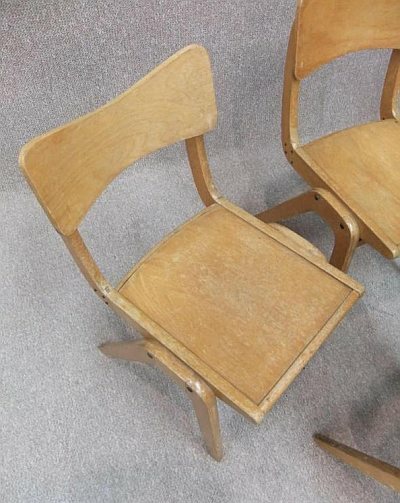 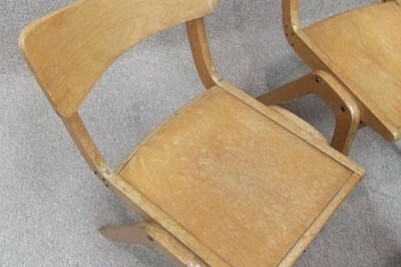 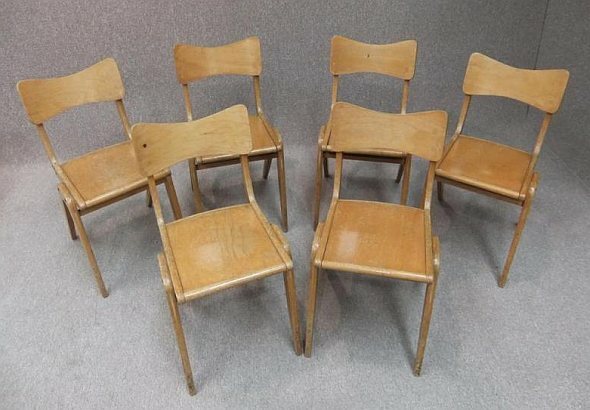 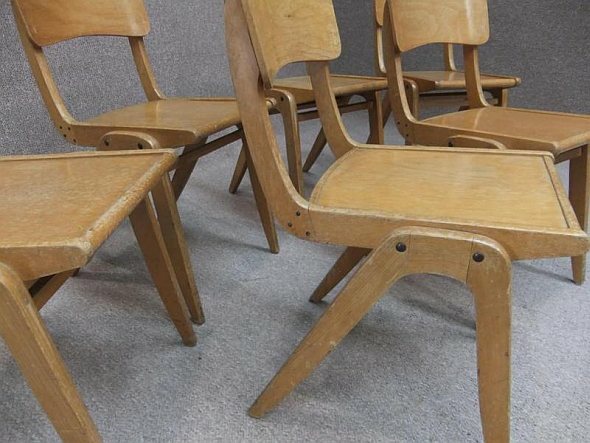 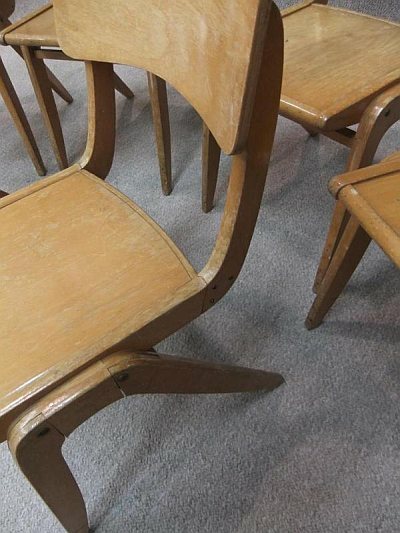 All chairs are in reasonable condition, but as you can see from the photographs, they do have some water marks to them, but they are still an extremely useful chair. They can be easily painted/sanded and waxed or varnished. 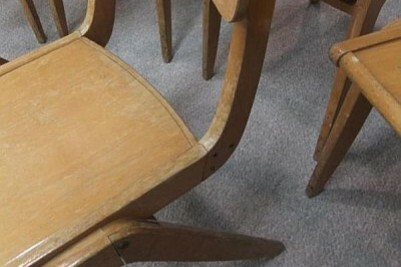 Please be aware that these chairs have been re-glued and screwed to the rear joint at some, but all chairs are extremely sturdy. 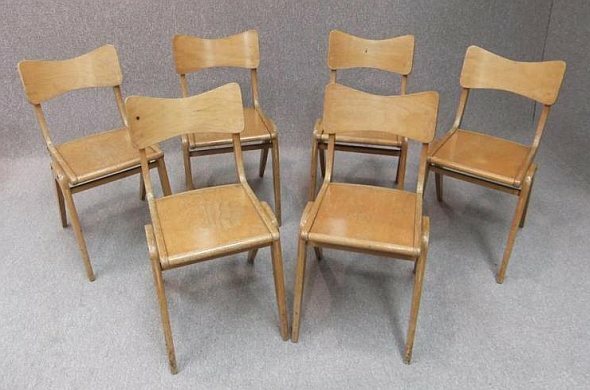 We have a large stock of these chairs, so please contact us on 01543 375872 if you require any quantity.